Tayal & Company is the leading distributor of SRF limited, Brenntag Ingredients India Pvt. Ltd. in Delhi NCR for supply Refrigerant Gases and Refrigerant Oils. We are also supplier of Suva brand Refrigerant Gases. We also deals Insulation, Copper pipe, Brass fitting etc. SRF produces synthetic coated fabrics using polyester based fabrics with unique PVC (plastic) formulation in specially designed machines. SRF is the only integrated manufacturer in India producing right from polyester yarn to articles made of fabric. The company offers a wide range of fabrics from 350 gsm to 1500 gsm in coating thickness from 0.3 mm to 1.5 mm over 100 attractive shades. We are one of the oldest & largest suppliers of Refrigerant Gases in Delhi, NCR. Direct Replacement For R-12 – ISCEON – MO – 49, for R-22-ISCEON is MO-29, This all gases are drop-in replacement, where you don’t need any changes in your existing system. Dupont Suva R-134A gas is now available in cans. CPI is the world's leading supplier of synthetic lubricants to the refrigeration and air conditioning industry. The Emkarate RL polyol ester(POE) lubricants are designed to meet all your needs. Emkarate is the only name you need to know when you require an OEM approved synthetic refrigeration lubricant for appliance, large industrial systems, air conditioning (residential, commercial, or transport) and automotive or aftermarket applications. These are available in 1ltr, 5ltr and 20ltr drum. SUNISO GS Oils are premium quality oils expressly designed for use as refrigeration compressor lubricants. SUNISO SL-S series are synthetic refrigeration oils designed specifically for using into refrigeration compressors for refrigerators, freezers, chillers and industrial refrigeration systems to be charged with hydrofluorocarbon (HFC) refrigerants. SUNISO SL-S series have optimum miscibility and compatibility with HFC refrigerants such as R-134a and R404A. SUNISO SL-S series are formulated by selected polyol ester basestocks and additives, featuring the following characteristics. SUNISO SL-S series are available in viscosity grade of ISO VG10, VG15, VG22 and VG32 for various refrigeration systems. For the after-market and service field, SUNISO SL-S series are available in 200L drums and 20L pail cans. 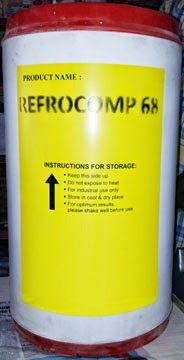 SUNICE T-68 is synthetic refrigeration oil designed specifically for using into refrigeration compressors for air conditioning systems to be charged with hydrofluorocarbon (HFC) refrigerants. SUNICE T-68 have optimum miscibility and compatibility with HFC refrigerants such as R-407C, R-410A and R-404A. SUNICE T-68 is formulated by selected polyol ester basestocks and additives, featuring the following characteristics. For the after-market and service field, SUNICE T-68 is available in 200L drums and 20L pail cans. Disclaimer: Information is sourced from Sunoco website. 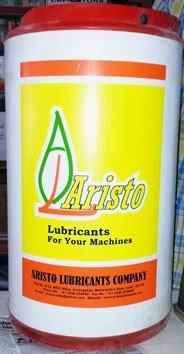 A/C Lubricant for R-134a Systems. CP-1008-68 is a custom-blended, chemically inert, semi-synthetic lubricant . lt is Uniquely formulated with a seal conditioning agent to minimize leaks due poor elastomer performance. It also contains additives for oxidation inhibition , corrosion protection, pour point depression , and foam reduction. This fluid is widely used for applications where the lubricant is subjected to harsh chemical environments, such as the demanding conditions found in ammonia refrigeration applications. CP-1008-68 may not perform as well where elastomers are mechanically damaged or chemically changed due to poor maintenance practices. Lubricant/coolant for ammonia refrigeration applications. Especaially effective In combating corrosion and promoting long lifr in ammonia compressors. Lubricant for systems exhibitihg leaks to poor elastomer performance. *These values ase not intended for use in preparing specifications. SUN Shine TM SUPER is designed for establishments that maintain or service Air-Conditioning Equipments/System mainly Hotel, Hospitals, Malls, Multiplex, Car Air-con and Industrial Plants. SUN Shine TM HD. is a blend of high performance, aggressive acid detergents designed for heavy duty cleaning and brightening of equipment condenser coils, fins and other equipment surfaces. SUN Shine TM HD. is a industrial strength coil cleaner often used to clean uncoated coils. High foaming cleaning action pushes dirt, lint, greases and oils out of coils. SUN Shine TM HD. Coil Cleaner is the strongest, most powerful cleaner available for use on air conditioning and condenser coils. This acidic formula is especially effective for removing heavy scale build-up and oxidation from coils and other surfaces that are predominately aluminum. SUN Shine TM HD. easily removes corrosion and oxidation without scrubbing and leaves coils looking like new. For periodic cleaning and preventive programs, SUN Shine TM HD. may be diluted with up to 5 parts water, further reducing maintenance costs. SUN Shine TM HD. is a concentrated, acid-based, high-foaming outdoor condenser coil cleaner and brightener. It effectively foams away stubborn dirt,insects, feathers, grass, leaves and other deposits from air cooled condenser coils. The expanding foam pushes contamination out of the coil and is easily rinsed away with water. In addition to removing contaminants, the SUN Shine TM HD formula effectively restores efficiency and reduces operating cost by removing hidden oxidation from the coil surfaces. Deep cleaning of outdoor condenser coils to restore efficiency and increase performance of the system. OFFICE BUILDINGS, HOTELS, HOSPITALS, FACTORIES, SCHOOLS and FOR ALL AC MAINTENANCE ENGINEERS. SUNSHINE Fresh is a non-acid, alkaline-based product for brightening and cleaning condensers. It contains the best available detergents and biodegradable surfactants to quickly penetrate and remove greasy soils and oxidation....its foaming helps helps lift greasy soils and oxidation....its foaming helps lift greasy soils out of the coil, leaving equipemnt clean and bright. SUNSHINE Fresh with its highly effective detergent-based formula, is specially formulated for preventative maintenance use for removing soils and deposits from cooling coils. SUNSHINE Fresh contains NO ACID, but brightens, foams and cleans just as well or better than acid-based products. It is especially formulated to melt away oily deposits and dissolve scale from heat transfer surfaces such as those found in air conditioner units and other types of heat exchangers. When applied as directed SUNSHINE Fresh will immediately begin removing dirt, oil, and scale with a unique foaming action that pushes the soils away from the surfaces so they may be rinsed way easily. Office Buildings, Hotels, Hospitals, Institutions, AC Maintenance Company etc. Disclaimer: Information is sourced from ztcproducts website. BWA's TowerPro® products represent a flexible, multifunctional water treatment program in easy to use tablets. Towerpro products are developed for the small systems where good service and pumping equipment can not be justified. Towerpro is formulated with the best in class chemistries to deliver excellent performance for scale, corrosion, slime, and algae control. It also reduces water blowdown to achieve higher water concentration cycles. Towerpro has an extended shelf life. Broad spectrum biocidal control for air conditioning and refridgerations drain pan maintenance. All in one treatment for small cooling water systems. Scale and yellow metal corrosion control for small cooling water systems. Algae and biofilm control for small cooling water systems. Disclaimer: Information is sourced from wateradditives website. ARISTOCOAT 018 is solvent based product, made out of carefully selected additives, which offers cold rolled (galvanized) steel, tubes & pipes excellent corrosion protecting in condensation & open shed conditions. It can be used for finished products like roofing's, seem-less tubes, conveyors & auto components, where long term rust protection is required in idlie conditions. ARISTOCOAT 018 is suitable all types of cold rolled steels,Condensers,Evaporators, roofing's & auto components, Panels, structures & more. Itcan be applied where long term rust protection is requried in idle coditions where coating need not be removed. It is suitable for all type ferrous materials. It is suitable for, conveyors where cleaning of product is not required. Can be appliedby brush, spraying & dipping. On the dried layer of ARISTOCOAT 018, painting can be done. Presence of high performance additives ensures you better corrosion protection. It forms a thin solid layer on the surface of component after 8 hours of application, touch dry 15 minutes. It gives upto 18 months protections in packed indoor condition & 12 months in outdoor packed conditions.